Award-winning tecniques from one of the world's top wildlife artists. Krakowiak, Fred, with Barbara Balletto. The Leopards of Londolozi- Second Edition. 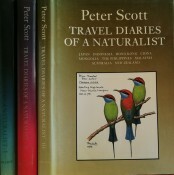 A Record of Adventures, Habits of Animals, Sketches of Brazilian and Indian Life, and Aspects of Nature Under the Equator, During Eleven Years of Travel.